Physiotherapy Graduate. | A day in the life of a physio graduate. The more you learn the less you know…end of chapter 1! It is almost this time last year I wrote my last post when I attended the Student Reps Development Weekend 2015 (SRDW), except I was there as a speaker not as a student. It is coming up to 3 years post graduation this summer (not quite sure how that happenend..). Therefore I wanted to complete a final post to put closure on this chapter of my physiotherapy career. When I say closure I don’t mean literally because believe me the more you learn the less you know which will come through in this post but on the continuum of my career path I felt this was the right time to sit down and write. I really need to give a quick summary of where I have been in the last year to reflect on the achievements and challenges I have come across. When I was writing my last post I was nearing the end of my rotation on trauma and orthopaedics. I was sad to leave a great team and had the opportunity work with elective Hip/Knee/ Spinal operations, trauma and complex Spinal patients. I initially wasn’t sure whether T+O was an area of interest but I loved the fast pace mix between MSK and Neuro and the team were fantastic to work with. My next rotation was MSK outpatients. The team at LRCH were great, very open and flexible to change and I felt that for the first time settled in one area and reluctant to move on. Anyone who knows me will know that MSK would suit my nature of being a bit OCD organised and I love the challenge of selling a concept within a given time frame (Takes me back to my competitiveness in sales). I did however face some challenges in this area… when I was a student my MSK outpatient placements were all in outer city middle class areas and therefore working in derby with a diverse/multi-cultural population I really had to put myself in their shoes to achieve the best outcomes. Not only did I face professional challenges but also with my own mental health (not something I spoke to many people about) but I really did have a lurking black dog during my time at LRCH which even made me question if I wanted to be in outpatients (even though I love it!). It is hard to put on that confident/ positive face to inspire your patients when inside you are a feeling a fraud. Luckily coming away from some medication and adopting mindfulness on a daily basis got me back on track with the support of my partner and family (Thank you!) By the end of the rotation my mind was almost set that MSK outpatients was where I saw my career progressing but I had that slight niggle of whether I wanted to explore Neuro. The first dilemma, a static 5 secondment became available at the end of my rotation which I obviously went for but with the slight niggle of exploring neuro. So I waited for my next rotation to come out which happened to be Neuro Outpatients (Perfect!!) . I told my line manager in MSK that although I really appreciated the secondment I really wanted to explore neuro outpatients and not rush out of rotations. I knew the skills I would develop would transfer into MSK at a later date. So off I went to neurology outpatients. Just to give a bit of background as a student I really did not like neuro…I didn’t understand it and I really lost confidence in a placement I had. I think loosing confidence as a student can really affect your career choice so my advice would be to go to the area with an open mind and you might surprise yourself. I think partly the reason for loosing confidence on my placement was coming onto an acute stroke unit after having a year out due to injury. I really thought I wasn’t cut out to be a physio and nearly quit the course (Thank you mum for making me stick at it you were right best career choice I ever made) because I just came away thinking I knew nothing. I really felt like I had imposter syndrome coming into the neurology outpatient department and they would find me out but I was welcomed into the team. We are really fortunate at derby to have a really solid supervision system and in neurology band 5’s work through a substantial in service training package which was brilliant for me having not done neuro properly since 2012. People who know me will know I like to know the answer for example how long for recovery and what is the expectation from me. So coming into neurology outpatients where most patients have long term conditions and on the rare occasions don’t have a diagnosis it really did baffle my brain to think how am I going to sell an idea if I don’t know the answer. Neurology outpatients has taught me to treat what I see and work with a hypothesis on set principles looking at neuroplasticity and what is expected of “normal movement”.Through this rotation I have been able to adopt a more flexible approach to the my treatments and with the luxury of having 1 hour with each patient it has really helped me hone my clinical reasoning with some senior support with complex cases. What was great to see in neuro outpatients is that everyone’s clinical reasoning is always being challenged and you are not the only one where the more you learn the less you know (a little tip make use of experienced physiotherapy assistants they are like guardian angels). So currently I am in the process of applying for more senior positions. 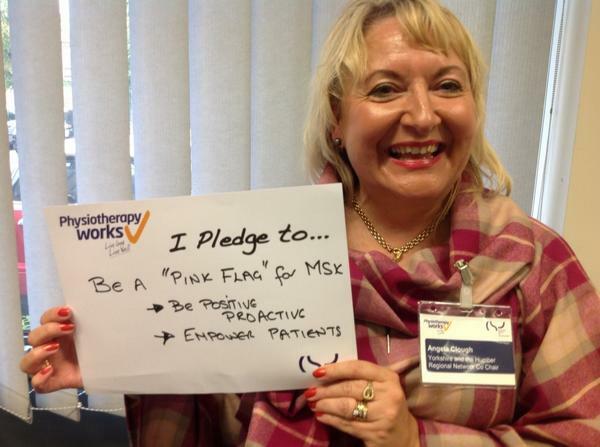 I am now more flexible with where I am going but I know outpatients is where my skills are suited. I love the one to one interaction and the challenge of changing peoples beliefs and aspirations. When I say I have set my career direction to outpatients there is always a niggle to look outwardly at other opportunities and therefore if something came up which fitted the bill I would not say I can’t as its not in my 5 year, 10 year plan. I would look to see what opportunities can assist me in my 5 year/ 10 year plan. 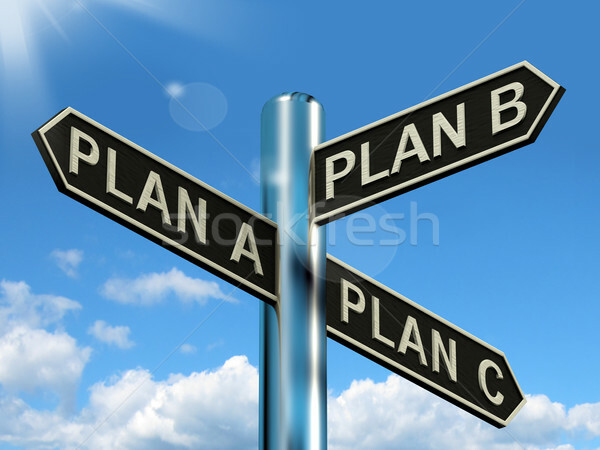 I will always stick by what Emma Stokes said at Physiotherapy UK on “take a chance, don’t make a plan” and I am a firm believer that everything happens for a reason. So away from clinical aspects of my career what has been happening? Well in my last post I was talking about taking on Vice Chair of the CSP EMRN, this kind of never happened as no one stood as chair so I thought you know what I am just going to go for and see what happens and I’ve not regretted it! I have just completed one year as chair and it has been a brilliant experience. I have had the opportunity to network, speak at conferences, complete relevant training and ultimately see the network go from strength to strength (with 5 times more members attending) . We now have strong committee with a clear aim to take the EMRN forwards. Taking on such a task as a newly qualified physiotherapist was a real challenge, leading a committee of experienced clinicians and managers to a positive outcome and engaging the East Midlands has definitely been one of the years highlights. I want to take the opportunity to thank the committee for their support and commitment which has been key to success… Bring on 2016/17! So as a final chapter to my blog I really wanted to summarise with my top tips to make it through your band 5 rotations ( This is not exhaustive just my experience). Enter each rotation with an open mind.. what can you take away from the rotation even if it’s not where you want to be. Don’t rush… there is no strict law to say you can only rotate for 2 years, make the most of developing skills in different specialities which will be transferable to your overall plan. Don’t feel pressured because other colleagues are moving to senior posts. Look outwardly at opportunities, how do they fit within the bigger picture for example taking on role as Chair EMRN. Speak to other band 5’s who have just worked in the area you are going to… they will be able to give you tips on things they found useful. Don’t let student experience dictate where you want to go with your career things might change. Keep in touch with your appraiser can they help you plan your career progression? Keep a log of your experiences for example IST and events, not only is this a requirement for HCPC but it allows you to look back on the things you have done. If you are unsuccessful at interview don’t worry about it, ask for feedback what can you do to improve? Network!! You don’t know what opportunities might become available because of an interaction for example attending your local regional forum. If you are struggling clinically or personally don’t be ashamed to ask for help. The priority is patient safety and support systems can be put in place if needs be. This post has been a long time coming but I am glad I have finally been able to sit down and write it. I hope students/ new grads and even qualified members have found it useful to think about the experiences of a student to band 5 physiotherapist. If as a band 5 you are going through a dilemma please flick back through it is likely I have written something about it !!! Thank you for taking the time to read my blog and who knows maybe I will start another one soon. 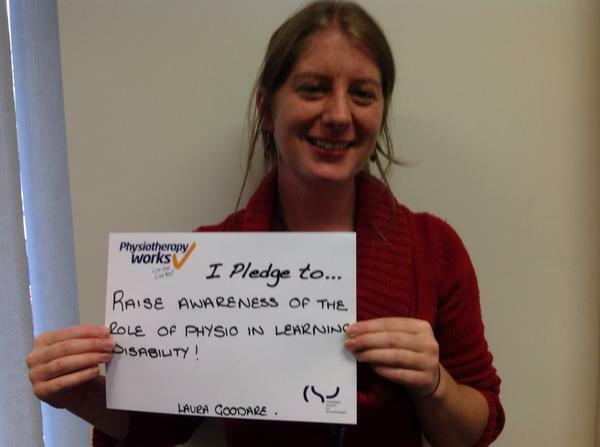 Any questions or comments please direct to @LCphysio. Are you going to be the solution or the problem? This blog has taken me a while to write because there has been so many fantastic accounts by Physiotherapy Students and Physiotherapists alike. Here are a few links below apologies if I have forgotten any. It was at the back end of the year when I was asked to give a presentation, from a graduates perspective as part of the Physio works programme. The theme of the event stemmed from making a case for change. The event challenged the status quo and asked students to step outside the box and ask the question where will the future of Physiotherapy go? And where do we fit? My talk gave a personal account of my journey and hopefully planted a seed to enable students to push the boundaries of their personal development. I really wanted students to think about doing things differently and not just going through the motions of student life. Network, Network, Network! -Many of my previous experiences have come about through networking and have got me where I am today so keep in contact with people you meet. Karen Middleton: “Learn to live with a bit of mess”-Prioritisation is a key skill to develop sometimes some of the things you do don’t need to be perfect to get the job done but it is important to prioritise the things that really do need to be perfect. Learn to say no-You are only one person and you can’t do it all without sending yourself into melt down so learn to delegate. Interviews are a skill- Don’t worry if you struggle in your first few interviews they are a skill to develop which you may read through my blog. Don’t forget about your degree- This links back to prioritisation your degree should be a priority and then work in opportunities around it. Look at challenges as opportunities-There are many things i have done which I have thought I’m not sure about this but at the end of the day you don’t know until you try and if it doesn’t work what have you lost? Take a positive attitude everywhere you go-You will sometimes hit problems along the way with university, placements, jobs. Take a backwards step and look at the problem holistically what can you influence and break the problem down into small chunks. Thinking outside the right box. When you are faced with barriers you need to find a route around them. What are you trying to achieve? Is the thing you are doing going to provide a solution? Don’t do something because it will look good on your CV. “Take a chance don’t make a plan” Emma Stokes. The event was fantastic as always and I learnt a lot from the student reps as well as the key speakers. The main thing I took away was during Karen’s and Ieuan’s talk on influencing. If you want to influence someone you need to work out what makes them tick but not only that you need to go with solutions not problems. I want to take this opportunity to thank the CSP students for inviting me to the event and I look forward to see where your journeys take you! Physiotherapy Works-providing evidence for solutions to problems. So on a different note I am also going to share with you the report from the Industrial Relations Committee. I sit on this committee as a newly qualified physiotherapist and it has really been an eye opener to the campaigns and background work done by the CSP and ERUS. Below is my interpretation adapted from the key messages provided by Claire Sullivan. Investor state dispute settlement could allow for individual companies to take state/government to independent tribunal where they can sue for compensation. This is only open to foreign investors (which is an unreasonable power grab on global organisations). For example if there was a breach of expected profits from a future contract eg a private foreign company could take Government to a tribunal if an NHS contract breached the expected profit. Public Service-Public services are normally protected from Free Trade Agreements, However, because the NHS is now, in part, provided by commercial companies, it will only be protected from TTIP if it is explicitly excluded from the treaty (which currently it is not). Health and Safety at work under this agreement would be affected. ISDS will give any US company operating in the UK health market the right to sue the government if it introduces new public health regulation, or health protection and health promotion policy measures that might affect these companies’ future investment or profit opportunities. So evidence for safer or more effective treatments, or advances in clinical knowledge, could not be put into practice (at least without the risk of being sued) if this affected the anticipated profits of existing providers. At the same time, harmonisation of health and safety regulations is likely to mean the downgrading of UK public health measures governing the use of food labeling, pesticides, chemicals, the presence of hormones in meat production and so on. We still don’t know what is in TTIP yet and there is a presumption of secrecy (we won’t like what they are offering). Vision for UK Physiotherapy: the committee received a presentation and video on the draft ‘Vision for UK Physiotherapy’ which had been developed and seen by Council members in December. The agreed overall statement is ‘Transforming Lives, Maximising Independence, Empowering Populations. NHS Pay in England: the revised pay offer for 2015-16 was considered by the committee. It was agreed that members would be consulted on the offer through stewards, with a recommendation to accept on the basis that the offer is the best that can achieved through negotiation (as there was no commitment to industrial action from members). Committee members acknowledged that the new offer is worse for a proportion of higher paid CSP members but noted that nonetheless it is significantly better for the large majority. Workforce planning: members and managers are reporting significant difficulties in recruiting at both Band 5 and Band 6. 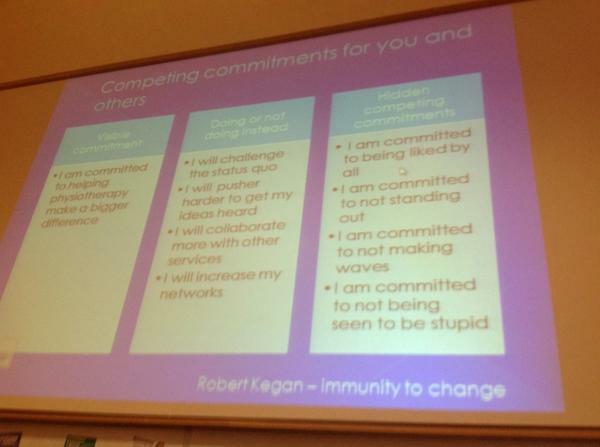 Further examples of this should be fed in to Kate Moran at the CSP. I can forward this on if needs be. Reports from the Countries: the committee considered updates from Northern Ireland, Scotland, Wales and England. In particular it was noted the substantial difficulties still being faced my members working in, or trying to obtain work in, Northern Ireland. Members working outside the NHS: CSP SNO Neil Lark updated the committee on a range of issues affecting members working outside the NHS, including in higher education, the Ministry of Defence, in companies including Nuffield Healthcare and Spire and in social enterprises. TUC Women’s Conference: this year’s delegation of members attending Womens’ TUC was ratified by the committee. The members are Kim Gainsborough, regional steward in the east of England, Gwawr Jonas, a steward in Wales and Louise Wright, regional steward in Wales. October 18 ‘Britain needs a pay rise’ demonstration: the committee reviewed the attendance at the events in London, Glasgow and Belfast and thanked everyone who came along. The committee agreed that for any future similar events, encouragement to attend would start with CSP core activists and others who had previously expressed an interest in the relevant area. ERUS workplan: the committee considered the progress that had been made in 2014 towards key objectives and also reviewed the draft workplan for 2015. The committee was supportive of a more streamlined version focussing on the two key priorities of ‘organising’ and ‘negotiating’. 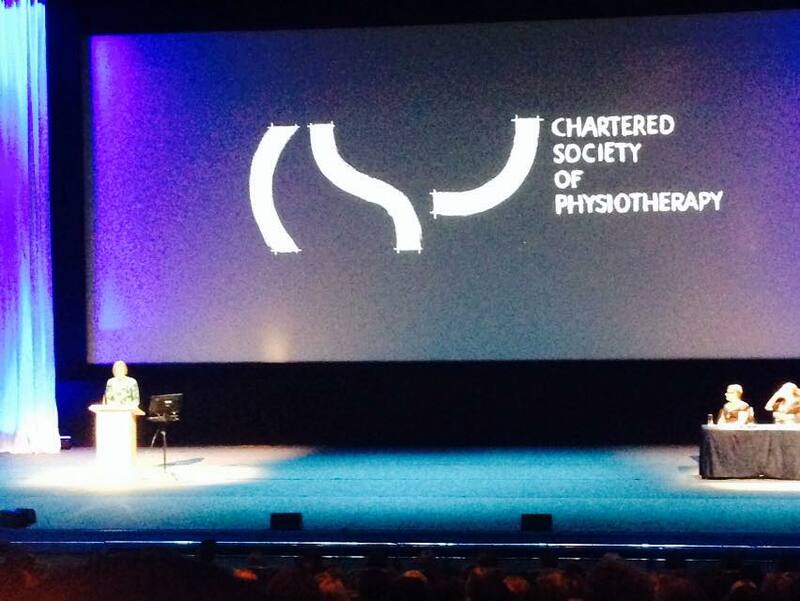 #Physio14: Where will the next 100 years take us? This post has been slightly delayed partly due to me gallivanting in Vietnam for 2 weeks but also due to my change in shift pattern on Trauma and Orthopaedics I have less time in the evenings to sit and write my blog. This post will mainly cover my trip to Physiotherapy UK and will touch on future exciting developments in the pipe line. Attending Physiotherapy UK was a relatively last minute decision. I had been to the conference for the last 5 or so years as a student and newly qualified, however this year with me going to Vietnam for a couple of weeks I was definitely counting my pennies. I can tell you the decision not to go did not last long as everyone kept messaging me asking “Are you going to Physio UK?” and in the end I just didn’t want to miss out! It was a great 2 day event which was credit to the organisers and council, a truly inspiring event with lots of learning to take away. I have written this blog in blocks so you can skip to the presentation summary you want,( I have not included all of the presentations as I would be here all night). Each one will be divided by a horizontal line. Rob Webster- Meeting the 201 Challenge: Opportunity and Threat. 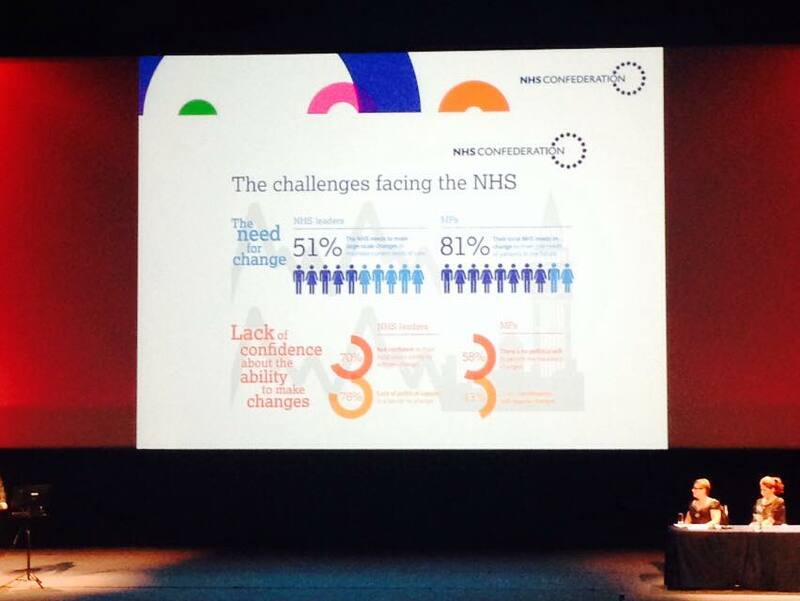 NHS Confederation. It was great for Rob Webster, Chief Executive of NHS Confederation, to come and deliver a talk at Physio UK. Rob really did set the scene for the challenges faced by the NHS in the near future and where Physiotherapy can play its part. Generational Challenge- A society becoming dependent on the health service. Ageing Population- An increasing demand on the Health service. A population with multiple issues. We have a leadership role to be optimistic: 7 Themes the NHS needs to address. 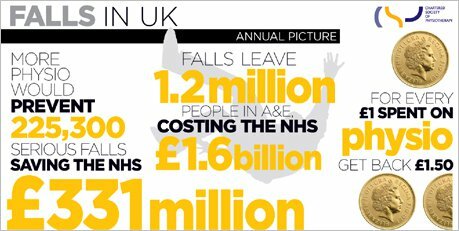 So we need ambition for the future- Where is the NHS going? The vision and asks: The 2015 Challenge Manifesto a time for action. Hyper acute trusts to save your life in need. Things we need to remember as Physiotherapists and other Health Professionals. We are guests in other peoples lives. We need to put ourselves in our patients’ shoes to truly understand what they are going through. Our outcomes should be theirs. We should organise around them and not our professional egos. 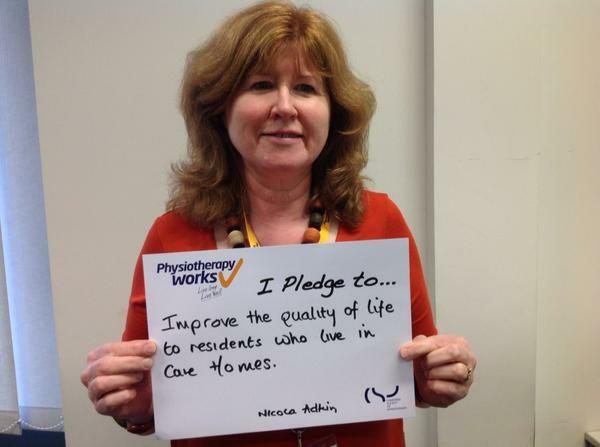 Cost effective- using and promoting the work being done by Physio Works. Misunderstood Role- we need to learn to shout a bit louder about our profession. Visibility- Do commissioners know what we can do? My take home message: We are facing a challenging environment within NHS whether it be cuts, increasing pressure to meet demands or trying to make Physiotherapy heard. We could easily just sit on our laurels and wait for someone to make a plan for us however we all have a responsibility to push our profession forwards and demonstrate how we can be a major part of the transformation of the NHS. Centenary Founders Lecture 1912-2014 Karen Middleton. I think I must have done 3 blog posts including a speech from Karen but each time I take away something different. The lecture was focused on how Physiotherapy has transformed over the last 100 years. How we take for granted our Autonomy and need to look back at how our founders over came the challenges to achieve this. 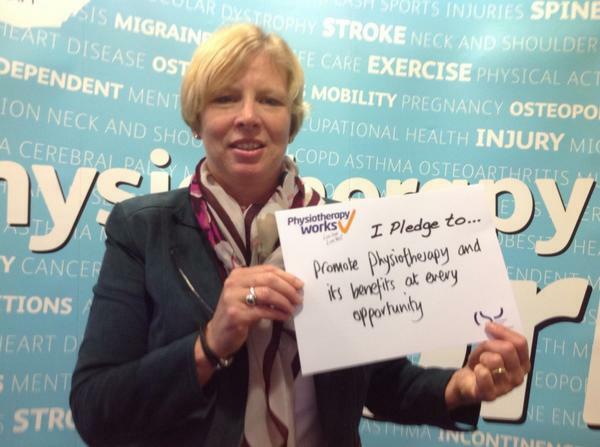 Physiotherapy has a great future if we continue to push the boundaries of our profession. Take Responsibility for your own development- I have taken this forwards by finding a mentor to guide my development. Things that Karen reflects on: What are you known for? What do you want to be known for? What challenges you? What have you learnt? What have you recently added to your CV? Why should anyone be lead by you? We need to be flexible! Learn to live with a bit of mess! What level of risk can you accept? What can you get away with? Learn to act quickly but not rashly. Don’t over think. Speak out when others are silent when integrity is at stake. 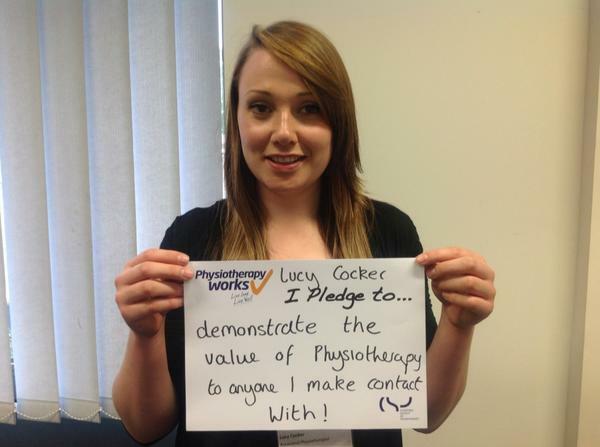 Would you stand up for Physiotherapy? Everything in your body will tell you you can’t do it. Imposter syndrome we diminish our own value. People need a reason to follow you. People need to feel empowered. 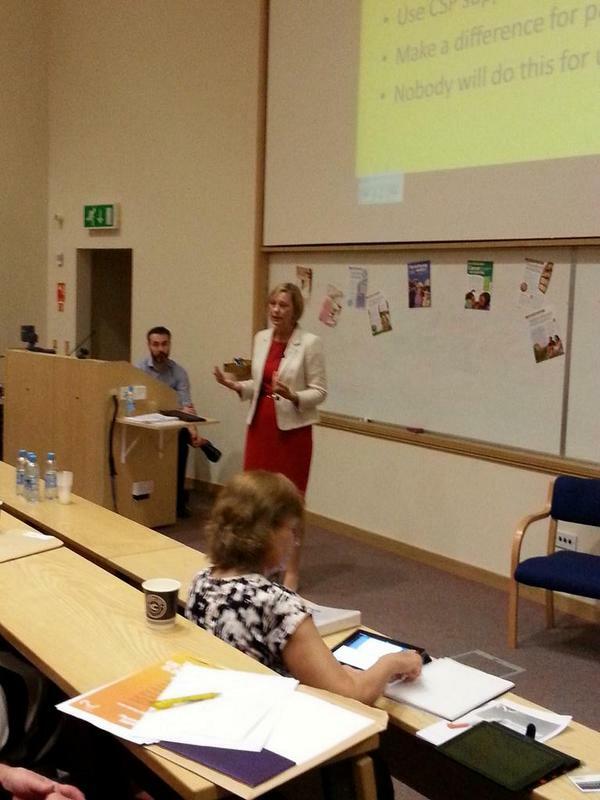 If you want to see the video to Karen’s inspirational lecture please click the link below. Support, Information, choice- patient preference, self-management, Information about their condition, prevention+ health promotion, psycho-social, point of contact when things go wrong, feedback from patients for service improvement and Training for all. Day to day variability, medication cycle & sleeping patterns. Affected by dehydration (as a result of slowness to swallow,concern about bladder control) so could have headaches, fatigue, constipation all of which will affect performance. The final part of Ann’s presentation looked at some of the health promotion activities that Physiotherapists could be involved in such as a scheme called Life after Parkinson’s. For example they set up a dance group for patients with PD . This was just one example of how we need to be creative to improve patient experience and that there is life after a diagnosis of a long term condition. Some questions and top tips for people with MS.
What are you currently doing to manage your health? What exercise? Is there anything putting you off? Do you ever Fall? Impaired balance during Transfers, STS, Turning./Delayed motor response/Alteration of 2 sensory inputs/use of walking aids. Exercise is proven to be beneficial and is not associated with relapse. Transient symptoms should settle down. Should be aiming to complete Resistance training 2-3/week at mod intensity 60-80% 1rep max 1-3sets for min 8 weeks. Aerobic training 2-3 times a week 30 mins 4x a week. Some of the balance interventions: Increase sway in quiet stance, delayed anticipatory + autonomic postural adjustments. Evidence suggests the benefits for balance interventions. 10m Timed Walk, Single leg stance, lateral reach, confidence scale ABC, MS Walking scale, Activities specific MS, Grip strength, 9 hole peg test. Useful Resources: Rehabilitation Measures Database- Neurology/ MS edge outcome measures database. Measuring Respiratory Symptoms in Advanced MS? What’s the point? What’s the evidence? What are the options? by Rachel Moses. This was a regular problem when I was working on an acute respiratory ward, MS patients being picked up too late for respiratory Ax. If these patients are caught early there are many interventions which can be taught to prevent admission to hospital but the new NICE guideline for MS have removed speech/swallow and respiratory management from the guidelines even though anecdotal evidence suggests there is a need. Severe diaphragm weakness ? Indication or higher cervical cord lesion. reduced vital capacity for patients who desaturate over night. MS- abnormalities in breathing control, resp muscle weakness, bulbar dysfunction. However no real evidence on how to manage these symptoms. So when we are assessing a patient we want to be looking at their peak cough flow. If the patients peak cough flow falls below 270ml then it is likely they will need some support to have an effective cough. Lung Volume recruitment bags would be the first port of call this aids breath stacking to increase lung volume for a more effective cough. If LVR isn’t enough some patients may need a Manual assisted cough as well. The final port of call would be manual Insufflation: Exsufflation. This is a machine which delivers a volume and then switches the pressure release the volume and augment a cough. MI:E has been shown to be a cost effective admission avoidance strategy for patients with advanced NMD. From this presentation it reiterated the importance of early respiratory assessment to prevent acute admissions. It also highlighted a need to educate commissioners on the benefit of respiratory management for patients with MS.
A set of symptoms, progressive condition. variable condition day to day. people with dementia stay an average five days longer in hospital. How can we respond to the challenge? Diagnosis more than 1/2 of people with dementia are not diagnosed. Treatment- drugs are used to reduce symptoms and deal with psychosis, anxiety or depression. No current drug developments. Understand how to communicate with patients with dementia- now mandatory training. Prevention- managing other commorbidities HTN, Diabetes. Implicit memory- how you do things? repetition guiding what you want. Structural interface- sensory overload- for example during standing use fingers instead of hands to support patient. may choose to do this as part of rehab. Dementia questionnaire inpatient- what do they enjoy? Understand where people come from. What were they taking before? Pain scale- Abbey pain scale. People with dementia should be given the opportunity to maximise their potential. use of equipment be aware may not understand how to use. I have been able to take this learning into practice in the acute setting by adapting my communication and limiting sensory bombardment, in turn I have found my patients with dementia have made good progress. Sometimes you need to be patient and try and build rapport before asking them to do something but if you can get them on your side you will make your job a lot easier. I have also found that by reducing my handling has encouraged patients to be more active during the treatment session which has limited the manual handling load for me. So that was just a review of some of the presentations I attended whilst at Physio UK. During the event I was able to catch up and network with many different people who I aim to stay in contact with. Physio UK always offers a great opportunity to speak to new people who share a similar interest to you whether that be Management, Education, MSK, Respiratory, Neurology and more. Whilst at the drinks reception I got talking to Paula Manning, outgoing Vice Chair East Midlands Regional network and Catherine Pope, Vice Chair of council. They asked me whether I would be prepared to stand as Vice Chair for the East Midlands Network. I was ecstatic to have been asked but I suggested that I would need to confirm this with my manager. 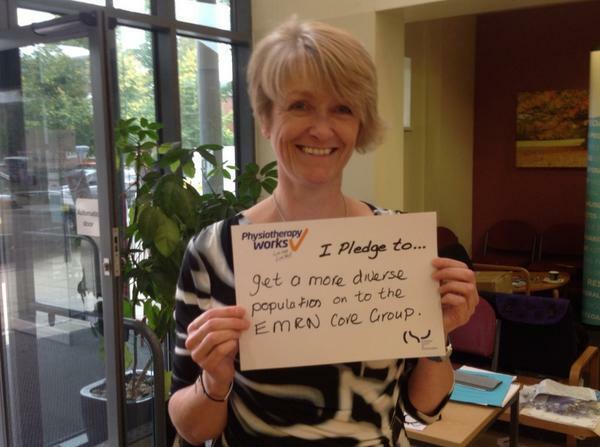 My manager has now agreed to support me and I have been selected to run as Vice Chair of EMRN. The role will be a challenge but it will give me valuable experience which can be transferable to my professional developent. I have lots of people to support me so I am looking forward to taking the role forwards into 2015. One final thing in the pipe line, I have been asked by the CSP student reps to speak at the annual rep development weekend. I am really looking forward to sharing my experience as a new graduate with reps and hopefully inspiring them to do great things and take the future of our profession forwards. Apologies for the length of this blog, but Thank you for taking an interest. Wishing everyone a Merry Christmas and a Happy 2015! Any comments or questions please leave a message below or tweet me @LCphysio. Hi everyone this post is really just to give you a bit of a background of the work being done by the Industrial Relations Committee. The last meeting was on the 1st October at CSP head quarters. It was a really productive meeting and the key messages were produced by Claire Sullivan ERUS Director (See below). Key messages arising from the IR Committee. 1. Members agreed to take it in turns to contribute a ‘guest blog’ on an area of interest to them, for the IRC news bulletin each month. Jill Barker and Kim Gainsborough will be covering October and November. 2. Lesley Mercer joined the committee for lunch and a presentation of thanks on her first full day of retirement from the CSP as ERUS Director! 3. The new Director, Claire Sullivan, talked briefly to the committee about some of her ideas and plans and some of the likely key challenges ahead. 6. A number of issues have been thrown up by the recent exercise to update the CSP membership lists for a possible industrial action ballot. These will be discussed in more detail over the coming months. Please can I just encourage people to access their online CSP account and update your details. The stewards have been doing a great job to update membership lists but it has been a big struggle for them on a national front. 7. The committee considered the current position regarding NHS pay across the UK. It was agreed to continue to update the membership lists for NHS members in England and to convene a meeting of the pay reference group in late October to review whether or not the CSP wishes to proceed to ballot members for industrial action short of strike. Feedback and views from members on this issue continues to be mixed. It is worth noting some of the successes from previous action the link below provides a small summary. • to publicise to members the new online petition to repeal part of the health and social care bill and the value of lobbying MPs locally ahead of a debate on this private member’s bill on 21st of November. • to publicise a new film called ‘Pride’ to CSP members. The film, which has attracted excellent reviews, is about the role of LGBT members in the 1984/5 miners’ strike. 15. Don’t forget the TUC march this weekend Oct 18th: Britain Needs a Pay Rise- see video below and reasons to go. The main message to take away from this blog is that we are better together. The society needs members to engage and update their memberships details so that we can we truly represent what members want. Likewise if you have suggestions you would like to take forward to CSP council please attend your regional network meetings so that regional council members can take your ideas forwards. Thanks for taking an interest in my blog any questions or comments please leave a message below or tweet me @LCphysio. My next post will give a round up of Physiotherapy UK 2014. Last Friday I was fortunate to be able to attend the Physiotherapy Works Locally event as part of the East Midlands Regional Network. I have been asked by the network to be a core part of the committee. This will hopefully allow me to build some momentum with social media and help get students and newly qualified members involved. This will aid the discussion regarding key decisions about the region and society which can be fed back to council. 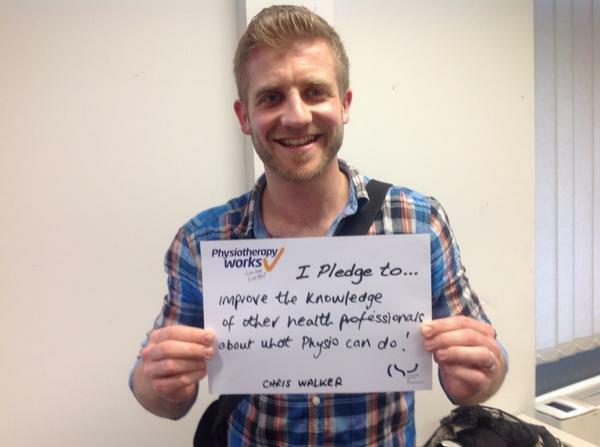 The Physio Works locally event was a joint event between East Midlands and Yorkshire/ Humber Regions. The event was a fantastic success with a lot of social buzz and pledges being made. Whenever I listen to a speech by Karen I feel so empowered, I want to run outside and tell everyone how fantastic we are as Physiotherapists and that we can really make a difference to peoples lives. Her talk was powerful and to the point. She said that we as Physiotherapists need to start talking about the benefits of Physio before we miss out on our golden opportunity. The health climate in 2014 is creating an environment where people are living longer. This creates a society with patients with more long term conditions and people needing to be fit for work for longer. Physiotherapy can influence all of these groups!! The quality of a service is essential to achieve positive outcomes. We need to be effective, collect outcomes, safe and develop positive patient experiences. However, how are we going to do this? We have less money available and a dependent medicalised society. So what innovative ideas can we take forward? 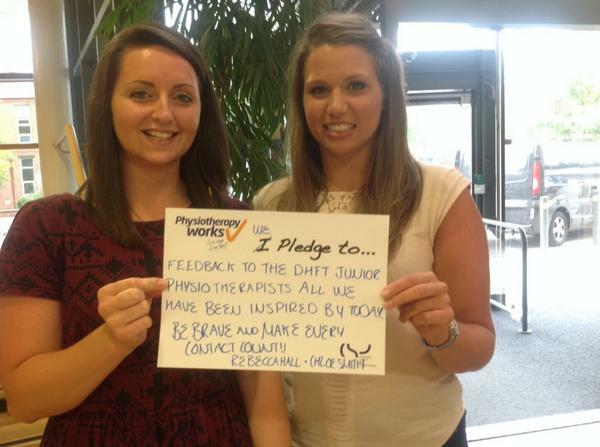 The profession of physiotherapists is far too modest regarding what we can bring to the table in terms of healthcare. Overcoming this apprehension will enable us to take our ideas forward and make them reality before it is too late. See opportunities and take them. Realise our potential as leaders. Come of age as autonomous practitioners. Use CSP support, materials and tools. Make a lasting difference to patients. Nobody will do this for us. Connect, build, link and network!!!! Think ahead and talk solutions. Know how local decision makers think. Show our impact through data collection. Talk about money as well as outcomes. So what? Now what? What difference does it make? Be Brave, Physiotherapy Works. Alison Hughes was another fantastic speaker of the day. She is currently Director of West and South Yorkshire and Bassetlaw Commissioning Support Unit. She was initially a physiotherapist and an advocate for clinicians leading the NHS. 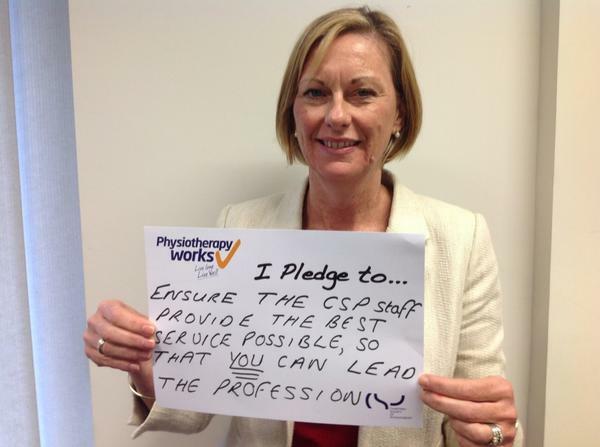 As physiotherapists we are ideally placed to lead. We are able to diagnose, listen, work as an individual and as a team. However the change you want to see starts with you! And you need to be clear on what success looks like. 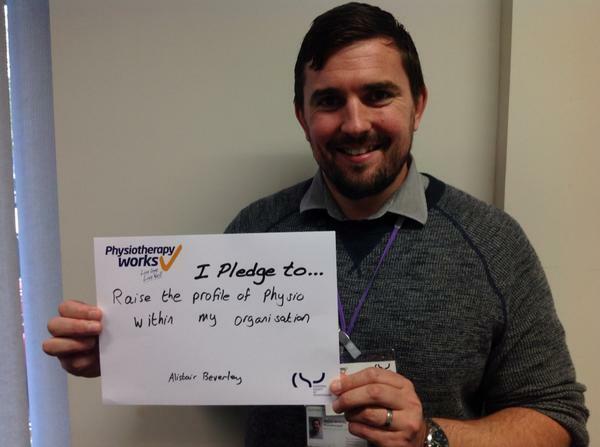 To me success looks like : Everyone in the general public knows what a Physiotherapist is and what they can do. What are your barriers to change? When planning a strategy for change, below is a great diagram to help you organise your contacts so that you target certain individuals to help promote specific campaigns. In creating change we need to clarify what success looks like. Grow and use the support you have. Understand hidden competing commitments for yourself and others. 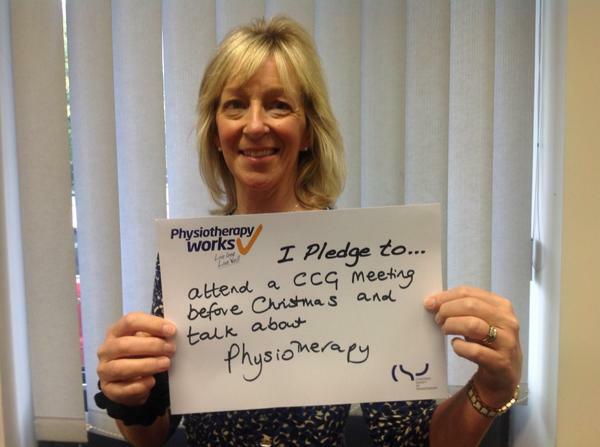 Physiotherapy Works- Make Every Contact Count. Knowing Your Service. Know where you fit in our healthcare system. The CSP is developing tools to give bite size pieces of evidence to show the value of Physiotherapy. 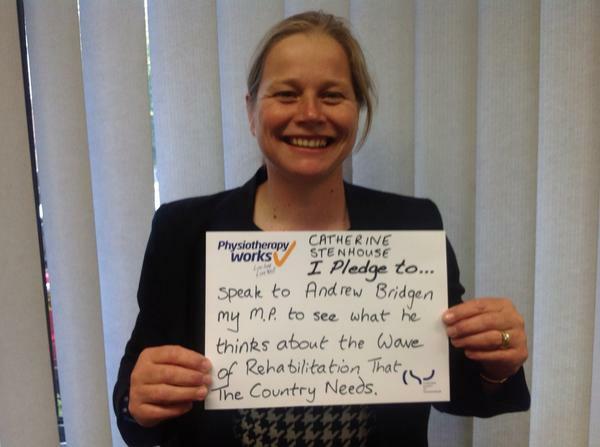 This will be based on for every £ spent on Physiotherapy will save the NHS…. compared to without. The cost of Falls Tool will be launched alongside Older Peoples Day on the 1st October 2014 (and more to follow). A population is made up of – current users of the service and future users of your service. Accessing Health Profiles can give you information regarding the demographics and problems in your region. This can be used to challenge the status quo! There was a great emphasis on developing your service and having your elevator pitch in mind, so if you were stood next to a commissioner in a lift you could quite happily deliver your message. So you might be thinking where do you go from this… So the next steps might be.. This will give you a starting point for change ! In the afternoon the Physio Works team did a great job in setting up mini workshops to get us thinking about innovative ideas which could form part of our future NHS! We looked at regional health profiles, developed ideas and then presented them to the group. There were some great ideas being thrown around the room and it was an effective way which made everybody feel ready to go and talk about how versatile the profession of Physiotherapy really is. Thank you again for taking an interest in my blog. As always please feel free to leave a comment below or tweet me @LCphysio. Finally the first part of my campaign was to get my Mr to make a pledge! This post has taken me so many attempts to write, I am not sure if it is because the last couple of weeks have been a bit relentless mainly with me flapping thinking “Oh God this week I am on call”. It doesn’t matter how much prep you do or how much everyone tells you that you’ll be fine you still don’t feel ready. Being quite a reflective person I like to analyse every possible option before doing something (which I think enhances my anxiety of on call thinking will I ever make a decision! ), however, I am also a born pragmatist which means once I know what I am doing I get things done and with the fab support I have had from my team during supervision sessions and clinical work I now feel I could reason through my options and make a sound clinical judgement! So this post is going to look back on some of the success’s and challenges I have faced on this rotation. I am now on-call competent and I have just completed my first on call (pheeewww) so I will try to explain the things which were going through my head and how I came out the other side!! Understanding of Arterial Blood Gases. Ability to use Intermittent Positive Pressure Breathing. I have to say I was glad to see the back of them, doing more work after work meant sometimes feeling mentally and physically exhausted but I had great support from my supervisor Emily Stranney and team throughout which made things a hell of a lot easier. I am not going to go into each competency as I will be here all night but these are some of the things that would be expected of you at Derby. I think one of the best ways for me to sum up my experiences is to give you my Top 10 tips on how to survive your respiratory rotation. For me I was fortunate to have experience on ITU on placement and when I worked in Birmingham but I can understand how daunting it can be if you were going in blind. For example on my first day of my the rotation I was quite happily being showed around to familiarise myself when one of the nurses called us over to say a patient needed urgent chest physio… So off we went straight into a emergency situation good job I had already had experience in suctioning and my supervisor was taking control…way to break me in gently or throw me into the deep end I am not quite sure :-). So my tips based on my experience on medical respiratory wards and I hope some of them may be useful. 1. Take a 24 hour approach to your patients. For patients with long term respiratory conditions they may physically be able to complete the tasks separately but when you put everything together washing and dressing themselves, making breakfast, walking to the shop even they may be exhausted for the rest of the day or even the next. This is where you may need to liase with occupational therapists, oxygen nurse, rehab coordinators or pulmonary rehab to assist with formulating a seamless discharge for your patients. 2. If they need oxygen therapy have you considered it as a tripping hazard? Many patients will be elderly and you don’t want a long line of oxygen tubing to be another reason for another admission to hospital. So maybe trial a long lead of oxygen as part of your treatment session to carry out a risk assessment? 4. If opportunity allows opt to do some joint treatment sessions with more senior physiotherapists and get them to compare what you are auscultating etc to see if your treatment plans match up. Different physiotherapists work in different ways so it is good to work with a variety to aid your own clinical reasoning. 5. Get into the habit of checking patients Chest Xray’s, if a recent one has been taken to help guide your treatment. Also the more practice you get the easier they will become to interpret… as no one wants to be scratching their head at 3am in the morning. 6. Know your indications and contraindications for treatment this will help formulate your treatment plan. I would advise to carry around a notebook with these in because if your mind goes blank you have something to back you up. My on call book has useful phone numbers, door codes, equipment locations, indications and contraindications for treatment, typical patients for each treatment and some of the useful values you may need as part of an assessment. 7. Break each respiratory patient down simply. What is the main problem? Sputum retention? Reduced Lung Volume? or Increased work of breathing? What can you change or help with and this will formulate your treatment options. 8. As always don’t be afraid to ask questions or your seniors or Doctors question their clinical reasoning so you are understand why you are doing something. You will be amazed at how many times as a physiotherapist you are the first one to notice that a patients target SpO2 need adjusting. 9. Like with anything in physiotherapy if something is outside of your scope of practice ask for help. For example I have been faced with the situation where a patient has aspirated on their vomit and I asked for my senior to treat the patient with me because I had never dine nasal suction before. ( You are not seen as incompetent you are seen as safe)! 10.Be aware of the neuro-muscular patients, they have the potential to go off spectacularly due to poor lung volumes and cough effort. And just because you can’t hear anything doesn’t mean secretions aren’t lurking. The likelihood is that secretions can’t be heard due to poor lung volume creating turbulence. Finally just relax… easier said than done I know, but, you are better to take a deep breath take your time and reason through what you are doing. So those were my top 10 survival tips for your respiratory rotation. I will now go onto my first on call situation and some of the tips which brought me out the other side. I can honestly say this day had been looming for a long time…. but I kept thinking oh it’s fine I’ve got ages yet (it won’t happen to me)! To oh wait I am on call tomorrow oh Cr*p!! The night before I definitely did not sleep at all waking up every hour thinking am I meant to be on call tonight? when I wasn’t. So the day finally arrived, I had arranged to stay with a colleague as we have to be at the hospital within 40 mins, so from Chesterfield I would be pushing it! I was lucky in someways to be completing my first on call during my time on respiratory as it meant I had the opportunity to talk things through with my supervisor and also suss out if there was any poorly people lurking about on the wards. Through the week there had been no call outs so I was testing my luck not to be called out but I guess I kind of wanted to be called in just to get the whole thing over and done with. So I settled into bed about 9pm… set my alarm for the morning, straightened out my uniform next to bed alongside my on call book and a pen. As I did the night before I wasn’t sleeping well looking at the clock every hour…. but by the time I got to 3AM I thought you know what maybe I have been saved and tonight is not the night so I drifted off to sleep. So I had got the details I needed, got dressed, got in my car and drove to hospital all the time thinking should I be doing this or this. By the time I had made it to the hospital I headed to the patient’s location took a deep breath went through the notes, looked at their Chest X-Ray, asked if they were for escalation for a higher level of care, checked blood results and then started to conduct my assessment. I went through logically my treatment options and formulated my treatment plan. As a first on call it wasn’t really a physio problem to solve but it allowed me to reason this through and at least I got called out and lived to tell the tale. 1. Make sure you are competent! There is a reason we are set competencies and this is to make sure we are safe and clinically effective. So take the time to put the work in so when it comes to being called out at 3am in the morning you are prepared. 2. Be organised! Have everything ready so that the only thing you have to do is get dressed and turn up at the hospital. 3. Don’t be afraid to challenge the referrer for the reason for the call out. Not all call out’s need a physio so you may be able to offer advice over the phone to rectify the problem. 4. Take your time read through the notes, check the patients observations, check blood results (INR and platelets especially), check recent X-Rays and breathe. 5. Familiarise yourself with your environment, take the time to have a walk around the areas you don’t normally work in. Or if it is area you haven’t had much experience in ring the ward physio’s in the morning and see if they have any patients you might want to treat before you are on call to get to know them. Finally breathe, the best piece of advice I have been given on the run up to my on call is to look at it as you are only offering an opinion. At the end of the day it is the consultant who has the final say on the patients care and sometimes as a physiotherapist you cannot do anything more and have to step away. I hope this piece has reassured physio students and new grads that being on call isn’t as terrifying as you think and the hardest thing is just that initial thought of waiting to be called out!! But once you have done it you have a real sense of achievement that you have been able to help someone in need and the fear disappears. I mean if I can come out the other side then anyone can!! So my next rotation takes me to Trauma and Orthopaedics in a couple of weeks time. I have only ever done T+O outpatients so I am intrigued to learn more about it and see where it takes me. My next blog post will focus on the recent Physio Works locally event I attended in Nottingham for the CSP and I hope to share with you some of the keys themes of the day! Thank you again for taking an interest. Any comments please feel free to leave one below or tweet me @LCphysio. Round up of Recent Outings! I have really been short of time to continue my blog as I have been trying to work through my respiratory competencies (as I am due to go on call in September…). This post just gives a round up of the meetings I have attended for the CSP. The reports have got some relevant links to all Physiotherapists especially with the new exciting programme Physiotherapy Works (a great opportunity to spread the word of how great Physiotherapy is!!) and I have also included my report from the Industrial Relations Committee Meeting which hopefully will inform you of the current work ERUS and the CSP are doing for their members. So firstly the East Midlands Regional Network Meeting. It was a great meeting with many enthusiastic physiotherapists meeting to discuss what is happening regionally but also to feed messages from CSP council locally. We also had Professor Sally Singh who came to talk to us about her work within Pulmonary Rehabilitation at University Hospitals Leicester so I have tried to document the keys points and I have added some links for your own interest. 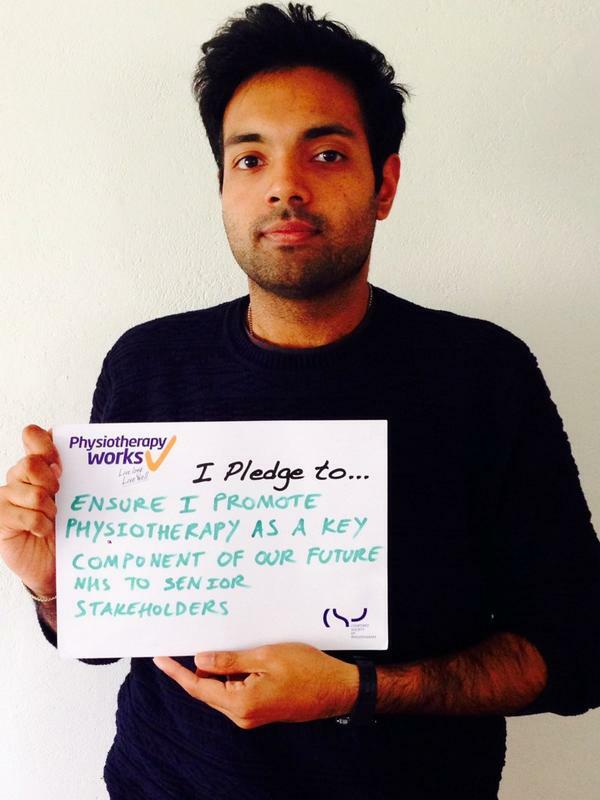 Physiotherapy works is a new CSP programme to show how physiotherapy is the solution to many of the Health and Social care challenges we face. 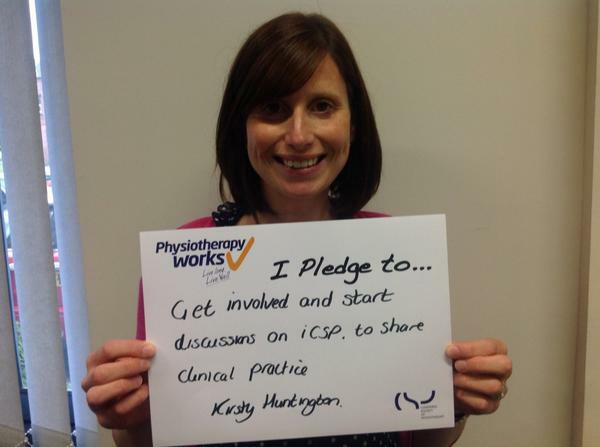 There are many ways in which physiotherapists can get involved see the CSP website. Health and Social care is changing around us. There is a need for increased quality at reduced cost. We are living longer with 70% of people in hospital being over 70+ which is amounts to almost 70% of the NHS spend and alongside this people are working longer. As physiotherapists we need to be louder as Physio fits in all of the above. The CSP is working to implement this strategy. Influence H+S care decision makers. Promoting effective and cost effective solutions. Call CSP members to spread the message to influence. Influence of public and patients to spread the message. Develop workforce planning models to meet the demand. 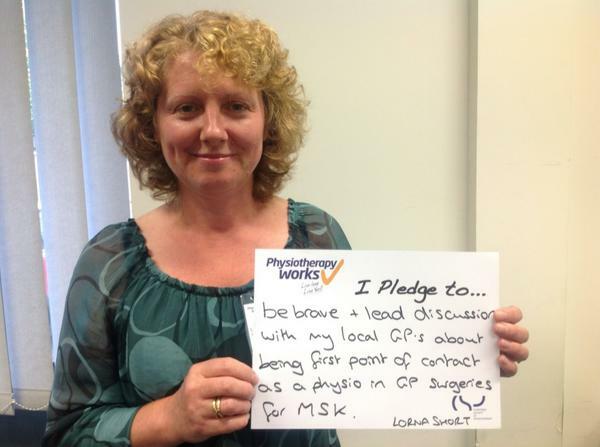 The CSP is planning to create bite size pieces of evidence that members can use to spread the message that Physiotherapy Works. The CSP is also creating briefing documents to how we fit with different services. The first one has been Physiotherapy Works for Social Care. Living Long- Living Well Advice Leaflet due to be published in October 2014. Commissioning Falls Services- Cost Survey. Talk about the value of our services in and out of everyday practice. Get involved with patient groups and charities. Register next month on the CSP website. Friday 19th October “Physiotherapy Works Locally” Event. All day free event. This is one of a series of Physiotherapy Works Locally events taking place across the UK. Look out for further publicity and for now please save the 19th September 2014 date. If you would like any further information please contact: Sebastien Baugh MCSP,Project Manager / Professional Adviser, Physiotherapy Works Programme Email: baughs@csp.org.uk. Tel No. 0207 306 6620. Rehab should be offered to all COPD patients. On a national scale we need to better at auditing our service to demonstrate value, clinical difference, patient experiences and use pre + post questionnaires. There is no evidence, that pulmonary rehab works in the home environment, this was taken from evidence based guidelines from a large study. This could be because of the environment, it is centred around an individual and it can be passive. However, we should still encourage physical activity if patients refuse pul rehab as there is a correlation between reduced quadriceps cross section and severe disease. We should pick clients with interstitial lung disease who are appropriate for pulmonary rehab. Post exacerbation rehab is cost effective, reduces hospital readmission, increases Qol and is best 1 month post discharge. Post exacerbation rehab should also be used to bridge the gap between pulmonary rehab if possible. The aim is to create evidence based guidelines which can be used to produce quality standards and ultimately accreditation. Changes to QOL, Endurance, walking time. An approach which is starting to be implemented is SPACE for COPD- which is delivered by trained clinicians. The programme is appropriate for patients who are computer literate (so they can do tasks such as their shopping or Banking online). -A Contact day is available for clinicians wanting to be trained on the scheme I believe. The aim is to conduct a study on self-management in the future. The key points from the June Meeting are below. We welcomed – Eirian Jones representing H & S reps, Jonathan Harper representing student members, Pamela Simpson representing PhysioFirst to the meeting. Our initial debate was on some of the crunch issues surrounding the future of the NHS, for feeding into future CSP thinking. The debate was not for formalising policy but for generating some discussion. NB All CSP members, and their patients and families, have a stake in the future of the NHS. From the meetings arranged by stewards, preliminary soundings showing potential membership support for an overtime ban to try to secure a fairer 2014 pay deal. Immediate priority is around campaigning: successful day of action on 5th June to be followed by national lobbying of MPs on 1st July and local lobbying on 4th July. In addition, CSP survey to be launched to find out what’s happening on the ground on incremental progression. Latest costings suggest that further contribution increases may be necessary. Government approach on pay, combined with down bandings, a major contributor to the problem. Comprehensive CSP strategy in place for supporting members and influencing future workforce planning. Case studies showing impact of cuts on patient care urgently needed. Prospects for new graduates improving and some indications of emerging shortages among experienced Physios in some areas. Updates from across the UK discussed. Timely reminder of the legacy left by the troubles in NI disseminated. Importance of stewards encouraging members to take part in staff surveys and then pressing for action on the result flagged up. Implementation of recent agreement on NHS terms and conditions in Wales awaiting outcome of medics negotiations. CSP actively involved in Francis follow up work including on staffing levels and whistleblowing. Theme of fair wages for all. Relevant to CSP members wherever they work. Important leadership role for IRC members in encouraging members to take part and to use social media to spread the message. CSP will be posting information about travel to the event. The event will be family friendly and it would be good to get as many people as possible to the event. Organising strategy for 2014-15 drawn up. 5 priorities: ensuring good coverage of local reps; maximising attendance at training days; putting organising at the heart of all training; recruiting support workers; gaining Trade Union recognition in non-NHS employers. Separate but complementary review of the safety reps network also being progressed. Initial responses to motions discussed and agreed, for feeding back to the CSP Council. To IRC member Louise Wright on her election to the Wales TUC General Council, and W Mids steward Cliff Townsen on being re-elected to TUC Disability Committee. My next post will aim to give a round up of my respiratory rotation and how I have progressed, we will soon find out where we are going next so I am looking forward to the next challenge.